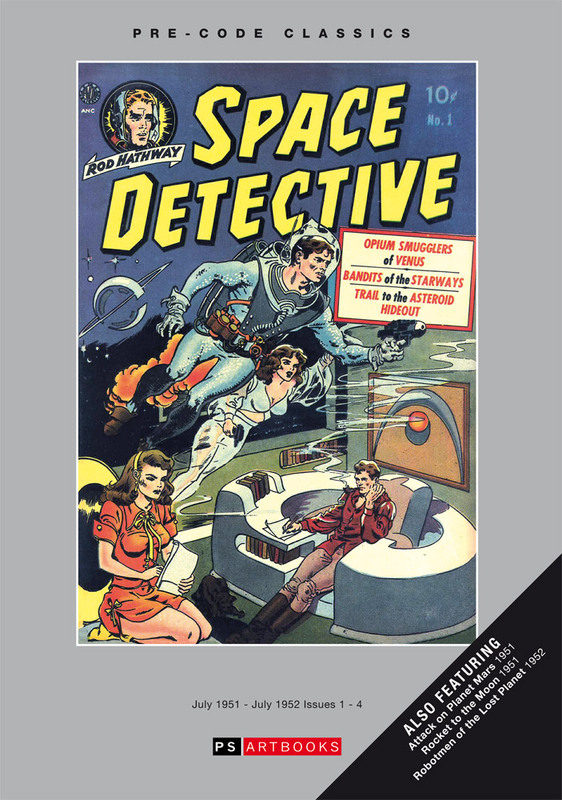 Just when you thought it was safe to go back into your local comic store, along comes the one-off SPACE DETECTIVE collection, the third volume in Avon's much loved SF anthology series (following our STRANGE WORLDS volumes 1 and 2) featuring artwork by such top talents as Wally Wood TM, Joe Kubert, Everett Raymond Kinstler, Alvin C. Hollingsworth and Charles Sultan . . . and all for less than 50 bucks! Heck, the covers alone are worth more than that! Volume One features issues Volume 1-4 from July 1951 – July 1952. 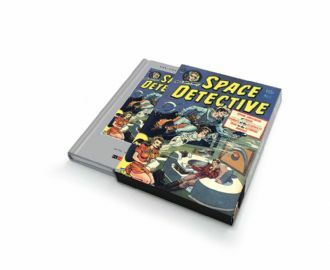 Also features bonus issues of Attack on Planet Mars (1951), Rocket To The Moon (1951), Robotmen of the Lost Planet (1952). All of course digitally enhanced and faithfully reproduced and housed in full colour slipcase.